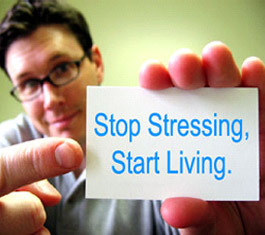 Stress is the most common cause of ill health in our life. Stress can lead to a chain of reactions leading to organic disease. Stress gives rise to a vicious cycle of anxiety, anger, worry and emotional pain. Today, numerous scientific studies have proved beyond doubt that psychological stress can have disastrous effect on physical health. High levels of stress can affect just about everything from your blood sugar to your weight? Stress is like a fire. If we are able to control the fire, it will give us soothing light (like candle) and if we are unable to control it, then it will go on…and would burn everything coming in its way. Let us go ahead and control it. Stress is the non specific response of the body to any demand made upon it. The demand can be a threat, a challenge or any kind of change which require the body to acquire. For practical purposes, stress is best defined as "a form of pain". This pain is a messenger that tells us that there is something that we need to change in our life. This change can be of any form. 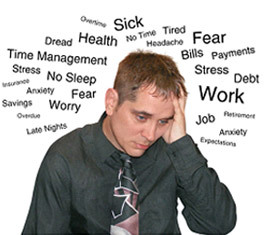 Manifestations of stress can be four fold: Physical: Fatigue, insomnia, palpitations, muscle pain & cramps etc. Mental: Decrease in concentration, confusion, mind racing or going blank & lack of humor. Emotional: Anxiety, nervousness, depression, fear, anger, frustration & worry etc. Behavioral: Increase eating, smoking, drinking, irritability, crying & blaming. Stress reduces both hormonal and cellular immunity and increases one's susceptibility to infection. It may cause damage to brain by rupturing blood vessels. It causes Increase in blood coagulation and constriction of blood vessels thereby precipitating myocardial infarction. It also precipitates disorders like ulcers, diabetes and delay healing process. The challenge of change is the biggest challenge that we face today. The world is changing and is changing fast; we have to change and change for the better to remain fit and make this world a better & a healthier place"
So be ready for this change….NOW? Make Changes: As the time passes, life changes, diabetes changes, drugs change and management requirements change as well. Caring well for diabetes requires dedication, persistence, motivation, knowledge, and collaboration with a team of health-care professionals. This can lead to frustration, fatigue, distress, and symptoms of depression, all of which can have negative effects on diabetes management, outcomes, and general well-being. It is important to pay attention to these feelings, to use them as signals to take action, and to address them one by one with the help of your doctor. Be prepared for these changes. Find out the cause: The causes are often called "Stressors" or "Triggers". Once you realize the primary reason of your stress, you can handle it better. Be Realistic: Remember that nobody is perfect. Don't set your goals too high, lowering them to more realistic levels would definitely lower your stress. Give yourself a break. Don't overlook the things you're doing well. This applies to any sphere of life. Positive Attitude: This is the most important step to succeed in any sphere of life. Don't be afraid of failures. Remember that leading a healthy life is in your own hands. It is the Attitude and not the Aptitude that decides the Altitude. Communicate: Talk to your family and friends - nobody should deal with diabetes alone. Get support from the people who care for you. Talk to other patients with diabetes and learn a few things from them. Get involved with a support group. Take Responsibility for your Diabetes: Stay Committed to your diabetes management. Monitor your blood glucose regularly as it would help you in adjusting your diet, medication and exercise. Be an equal and active partner (along with doctor) in your own treatment. Being proactive may involve raising concerns with your doctor, using a health library and Internet resources etc. Studies clearly show that people who are engaged in their care do much better over time than people with diabetes who remain passive. They are more energetic, more inquisitive & less frustrated than those who simply "go along" with what they are told. Holding back and feeling afraid to ask questions or pursue problems independently increases the probability of struggling alone and overburden. Focus on behavioral goals: Many people with diabetes become frustrated with how difficult it is to lose weight and control blood sugar. You can't directly control your weight or blood glucose level but you can control your calorie intake, can exercise and take your medicines regularly. By completing all of these tasks regularly and focusing on your behavioral goals, you can lose weight and control blood sugar well with being overburdened and stressed out. So stay focused on things you can do and the goals you can achieve. Pace yourself: A slow pace of change enables the new behaviors to become more easily incorporated into your lifestyle. The new behavior becomes self-reinforcing as many small goals are achieved sequentially over time. Do one thing at a time: The greater the number of things changed in a management plan at one time, the greater the possibility that none of them will be achieved. This would increase your feelings of frustration and failure. The best thing is to create a list of priorities for change, and handle them one by one. Eat Right: A balanced and healthy diet will keep your energy up, which will in turn help you fight the stress. Cut back on caffeine (coffee) and nicotine (smoking), it can make it difficult for you to fall asleep at night. Alcohol might help you fall asleep initially, but it suppresses your brain and would interfere with sleep later during the night. Try herbal/organic tea before bed. Reward Yourself: Treat yourself to something special each day: take a brief bubble bath, sit in a quiet area and listen to soothing music, meditate, or even do a bit of yoga. Pamper yourself and relax. Get a massage, or even indulge in a little retail therapy. Try to avoid making food a reward or a stress reliever. Laugh: We all know that laughter is the best medicine; it relieves stress better than anything else. Watch a silly movie, or read the comics section of the newspaper first. Don't forget to laugh at your own self, since this is the most healing laughter of all. Relaxation Techniques: Learn relaxation techniques and coping skills to help you work through stressful period. 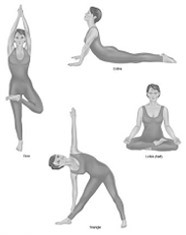 Meditation & Yoga: Yoga and Meditation help to maintain the hormone level in your body. Relaxation is a physical experience, but Meditation is a spiritual experience. It not only relaxes our body but also relaxes our mind. Bust that Stress! Don't let diabetes overwhelm you. If you're having trouble reducing stress, seek help from your doctor. "Handle Stress Properly" Face it! Fight it! and Finish it!